Robbie earned a B.A. in Psychology and a M.Ed. in Counselling Psychology from the University of Lethbridge. Robbie offers counselling that is person-centered and grounded in a core belief that every person has the capacity for meaningful growth, change, and healing. His intention is to empower clients to make meaning of their past, to cultivate personal insight, and to develop the strength and strategies to overcome life’s challenges. 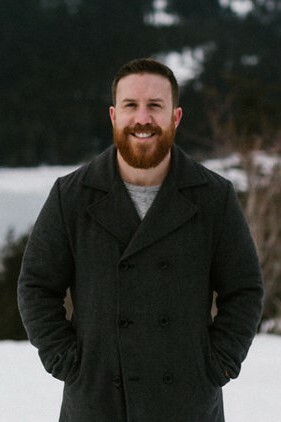 Robbie utilizes a combination of therapeutic modalities including but not limited to cognitive behavioural therapy, solution-focused, strengths-based, and mindfulness techniques. Robbie strives to create an environment conducive to change by using evidence-based practices that best suit the specific needs and distinct worldview of the client. Robbie has experience working with people from diverse backgrounds including individuals in addiction recovery, in a corrections facility, and recovering from significant workplace injuries. Robbie also has extensive experience in sport as a player, instructor, coach, and sport psychology consultant. This experience helps him provide counselling to athletes for both sport and non-sport issues.